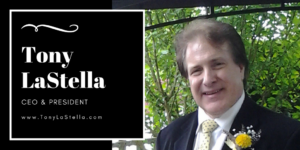 Tony La Stella is the Founder and Managing Director of La Stella Foundation, a 501(c)(3) and Washington State Charity since 1990. Over the last 30 years, La Stella Foundation has benefited upwards of 150 Non-Profit Organizations in the Northwest supporting veterans, children, animals and other worthy causes. Tony has an extensive background in Tax Law, Estate Planning, Business Management, Development and Venture Capitalization, Marketing, and Production. His company C&A provides business consulting for Non-Profits and small businesses. An active member of The Rainier Club, Tony also serves as an Advisory Board Member of Music Aid Northwest. Since 2011 Tony has produced the Veteran Park “Camp Patriot” within the Tacoma Freedom Fair for the benefit of Veterans and Active Duty Military. He is currently President & CEO of the Tacoma Events Commission which produces the annual Freedom Fair, the third largest July 4th Events in the USA with annual attendance of 125,000. He is a Major Shareholder and Co-Host of West Coast Italian Radio, Inc. An accomplished entertainer, Tony does 200 shows a year with appearances in Night Clubs, Concerts, Television, Motion Pictures, Broadway Musicals & Opera throughout North America, South America, and Europe…and has over 100 recordings to his credit. Through his performances and production work Tony raises over $250,000 annually for charity. Joe is the General Manager of the Silver Cloud Inn in Tacoma. He is also the Commissioner at Tourism Promotion Area- Pierce County. Accomplished in the hospitality industry, Joe’s professionalism and leadership experience is an integral part to our team. 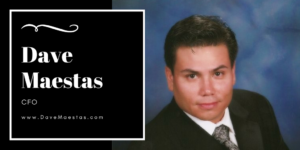 Dave Maestas is the CEO of Maestro Strategic Solutions, a marketing company. He is a retired U.S. Army Special Forces “Green Beret” and Airborne Ranger having reached one of the highest ranks and leading his own Special Forces Teams in Afghanistan. His focus was on mentoring foreign leaders on governance, security and development. Since retiring he is an entrepreneur with interests in the West Coast Italian Radio network. He has co-produced Camp Patriot and other events in the Puget Sound. He is the co-producer of Armed Forces Icon. Finally, he works diligently in the Veteran non-profit arena as the Director of the NW Region of the US Army Ranger Association, Director of Puget Sound Veteran Business.com and advises Veteran businesses other non-profits in the area. David can be reached at 360-545-3874. Dan is the proprietor of Katie Downs Tavern and Eatery. His volunteerism for the Tacoma Events Commission as a board member demonstrates his commitment to the people of Washington State and Tacoma. 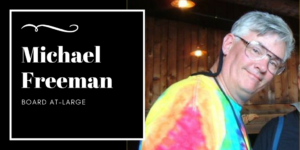 Michael Freeman, a Board member since February 2014, is an active business owner in the local community. His background is in manufacturing of Marine electronics since 1970. He diversified his talents in 1978 and expanded to software development. In 1996, he utilized his physical challenge in life to embark on an additional business of selling and renting wheelchair ramps. He is a well-known area proprietor of mobile covered stage rentals for events. Freeman has volunteered since 2012 in a variety of capacities with the Tacoma Events Commission. He provides extensive experience along with problem-solving skills and management to the Board. 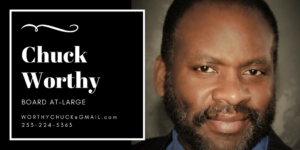 Master Accredited Solutions Expert and Senior Technical Instructor with Hewlett Packard Enterprise, published poet, award-winning songwriter and regionally known vocal artist, Chuck Worthy is a man of many talents. He is one of less than 500 Technical Professionals in The Americas to attain the ExpertOne Master’s Level of Technical Knowledge and expertise. 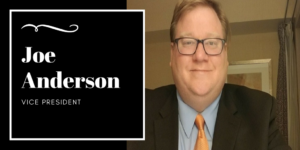 His technical journey has taken him through the portals of the US Navy as an active duty Data Systems Technician and instructor (12 years), Sun Microsystems, IBM, Dell, the Navy and Marine Corp Intranet Project and countless other clients and projects. 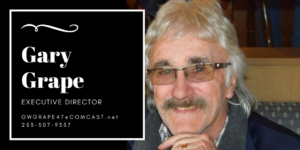 An established producer and event coordinator with his wife, Linda, Chuck has co-produced and performed at family-friendly musical stages for many large community, city, and government events, including 9 years with the Tacoma Events Commission. Chuck can be reached at worthychuck@gmail.com or 253.224.5363. A senior software developer whose past clients have included Microsoft, Boeing, Weyerhaeuser, Frank Russell, Clearwire, Department of the Army, Portland Government, Tacoma Events Commission, and many other businesses and non-profits. Linda is an enthusiastic and patriotic supporter of Freedom Fair since she served in the U.S. Navy for seven years. For over 40 years, Linda has organized and produced/co-produced a variety of events, contests, and festivals that included musical performances at political, city-wide, military, church, and community events, including Seattle Center, Puyallup Spring/Fall Fair (now the Washington State Fair), Victorian Country Christmas, Martin Luther King Birthday Celebration, Just Say No to Drugs community outreach, and many others. She is excited to once again co-produce one of the Freedom Fair stages (since 2009) with her husband and musical partner, Chuck Worthy. 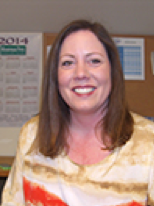 Linda can be reached at lindaworthy@earthlink.net or 253.225.6098. Wilson joined the Tacoma Events Commission with the goal of providing direction and support in the areas of marketing and development. Wilson has over 25 years of experience in nonprofit and event management. 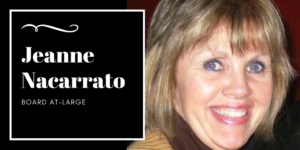 She has worked for multiple notable and national organizations including the US Olympic Committee, USA Judo, the National Wrestling Hall of Fame, the Dan Gable Museum and multiple others. 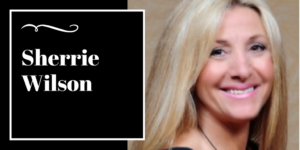 She also serves as Vice President of Marketing for the national franchise Phenix Salon Suites. Her expertise and current focus is in brand management, capital campaigns, long-term giving and development. Rutherford joined the Tacoma Events Commission in 2016. He has an immense background in television and event production. His impressive resume includes award-winning television shows such as Extra, Soul Train, the Rosie O’Donnel Show, Oprah and the Steve Harvey Show. He also has extensive award and event show experience with properties such as the Superbowl, the Grammy’s and the Soul Train Awards. His festival experience is broad and includes the mega music festival Coachella. 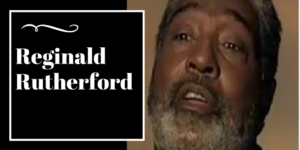 Rutherford brings a vast wealth of production and development experience to the Tacoma Events Commission with his focus set on the Freedom Fair. Teri is a lifelong resident of Tacoma and University Place and has enjoyed the events produced by the Tacoma Events Commission for years. She joined the organization in January 2014 with the goal to streamline and enhance the financial management of the organization. 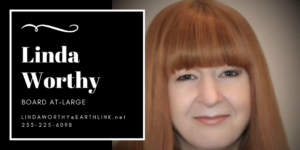 She brings with her 25 years of nonprofit financial management expertise that will be invaluable. Teri looks forward to working with all members of the Tacoma Events Commission to continue the wonderful community events that are enjoyed by her family and so many others. Contact Us to Become a Partner, Vendor or Volunteer! Over 70K Attendees!